News, Fishing Reports, Articles and written by MACC members. 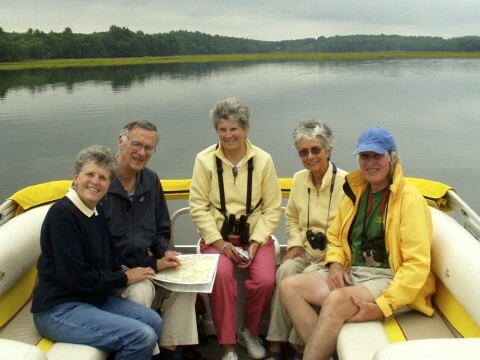 Happy clients enjoy a sightseeing cruise aboard Capt. Ed Rice's "River Runner." Maine's beauty cannot be overstated. 1) To promote Maine's incredible charter industry. Maine's waters are breathtakingly beautiful, rich in history, a source of the nation's best seafood and a recreational playground seemingly without end. Members of MACC provide access visitors and residents alike who might otherwise not have the ability to experience our coast. Each and every one of them has guaranteed their clientele safe, fun, educational entertainment through experience, education and licensing. MACC works overtime to spread the word about all of the amazing charter options available through our website, mainechartercaptains.org, through social media, and through attending and exhibiting at a wide range of shows and events. There is no more powerful advertisement than being able to talk with one of our members and to get a feel for what one might experience out on the water. 2) To monitor and act upon legislation that affects its membership. There is an absolutely constant flow of lawmaking, law-changing, and law-removing that affects our industry at large both at the state level and federally. From the yearly angling rules changes to Coast Guard regulation adjustments to legislation that affects dam removals, water cleanliness activities and even foghorn signals, there are key members of MACC, namely Capt. Dave Pecci and Capt. Pete Douvarjo, who are continually combing through news stories, conducting internet searches and staying in contact with key players in our industry to stay up to date on items that could affect our ability to do business. MACC works tirelessly on behalf of its membership to protect it from bad legislation. For instance, back in 2015, a huge piece of rulemaking could have had a negative impact upon the future of the striped bass fishery. A van load of MACC members descended upon the hearing clad in identical hats to make it known that we were NOT happy with any outcome that would threaten the species. Our side prevailed. Whether it's our fish, our waters, or our rights, MACC fights for what is right. 3) To promote responsible stewardship of the natural environment upon which our businesses depend. It should come as no secret that every single MACC members considers him or herself an advocate for the environment we use to make our livings. Historically, no one has had a bigger positive impact on our shared natural resources than the sportsmen and women of Maine, and MACC is incredibly proud to carry on that tradition. MACC works directly with Dept. of Marine Resources scientists to reduce fish mortality, voices the opinions of its membership with regards to recreational access to fisheries, and enjoys an incredible working relationship with our Marine Resources Wardens. We are the "canaries in the coal mine," and see firsthand when something is amiss. Our leaders in the marine resources world depend upon members of MACC to share information that might otherwise be in short supply for them. And of course, in what is no doubt our favorite role, we get to inform and educate our clientele on ways to protect and improve our amazing natural surroundings. 4) To act as a classic trade organization and foster symbiotic relationships between our members and appropriate vendors. MACC's greatest power is found in its membership. Being able to voice the concerns, opinions, and information of a large, informed group is important and of great value to businesses that serve our industry. That's why MACC works hard to provide its membership with benefits that make the price of admission an incredible value. Our vendors want our business, and we want to use the best products and services we can get. When our clients get on our boats and see what we use, they are then more apt to purchase that item. So that is, in a nutshell, who we are and what we do. MACC has grown significantly in a few short years simply because of the value we bring to our membership, to our industry, and in fact, to everyone that enjoys the health and beauty of our coastal paradise. Even if you're not a charter captain, we offer a "Supporting Membership" for a mere $35 per year that will help us do the important work we do. And if you are a captain and are not a member, well, what are you waiting for!?! We'd love to have you! Thanks for reading, and may you have fair winds and following seas. 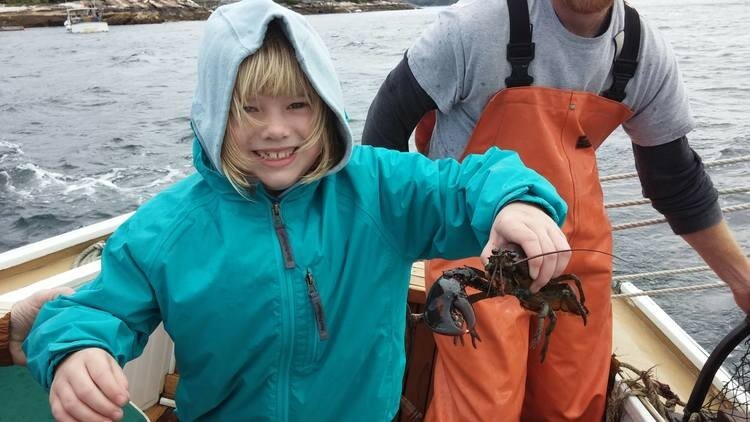 Education and conservation aboard the "Sarah Mead," Sail Muscongus' sailing lobster sloop.